Cosgrove Mark. The Brain, the Mind, and the Person Within: The Enduring Mystery of the Soul. Grand Rapids: Kregel Academic, 2018. 180 pp. $18.00. 978-0825445262. Is there a nexus to be found between the fields of neuroscience and theology? According to Cosgrove’s short work The Brain, the Mind, and the Person Within, there is ample evidence that suggests the two fields belong together. While many introductory works on neuroscience and neurobiology are filled with technical jargon and philosophical esoterica, Cosgrove has an eye towards pedagogy without falling into the temptation of oversimplification or over-extrapolation. 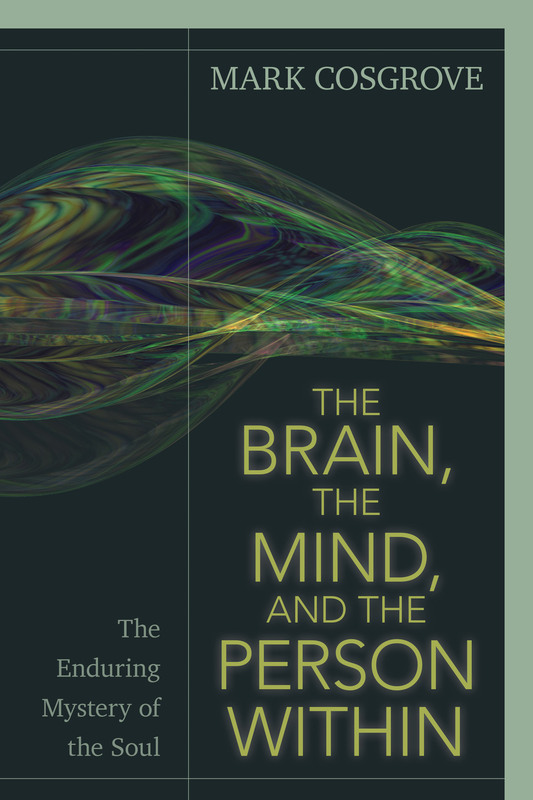 Over ten short chapters, Cosgrove carefully introduces and discusses the state of the question concerning the anatomy, functionality, and theology of the mind. Chapters 1 and 2 introduce the reader to the mysteries found within the studies of the brain. Glial cells and neurons make the person, but the mind is no mere combination of chemicals (p. 27 ff). According to Cosgrove, it is problematic to accept the mind as a “machine” view of the human brain. For consciousness exist in four realms: (1) Frontal Lobes (time), Parietal Lobes (meaning), Temporal Lobes (symbols), and Corpus Callosum (imagination) (p. 30–34). Chapter 3 further explores the transmitter chemicals (NE, 5HT, DA, ACh) that come together like a river to shape one’s personality (p. 47ff). In chapter 4, the reader is introduced to the “hard problem,” that is the brain neural pixie dust or the work of God’s spirit? He notes the complexity of the brain’s formulation of what becomes the conscious experience––it is too simplistic to say it merely functions like a machine. For Cosgrove, humility is essential here and knowing that personhood is critical for understanding the hard question (p. 69) and how a holistic approach is a better avenue for the study of neuroscience. Chapter 5 delves into the murky waters of free will and what Cosgrove calls “free won’t” (p. 75ff). Here his background in psychology is critical, for he notes the importance of habits in a discussion of free will. Because human nature is linked to the physical world, it is not enough to look to one side (i.e., do we have free will), but how does the inseparable relationship between body and spirit flesh out amongst impulse and choice (p. 84ff). For tracking habitual movements via brain waves does not, as Libert’s experiments claimed, to prove determinism. Chapter 6–7 delves deeper into the relations of religion and spirituality upon the brain. Here Cosgrove proffers the complexity of proper research on neuroscience, theology, and the recreation of the mind with ample evidence to support his claim. Chapter 8–10 provide somewhat of an ethical treatise (p. 14ff), positing the churches necessity of engaging with the tools of technology by holding a high view of personhood. Meaning humans are no mere machine; they desire meaning, purpose, relationships, and creativity; therefore, discussion of neuroscience and future brain technology must understand the human mind cannot be replaced or likely replicated (cf. pp. 153–54). Cosgrove’s work in the Brain, the Mind, and the Person within is laudable for attempting an intersection of the Christian faith with current research in the field of neuroscience. More to this, the writing seeks clarity over complexity without sacrificing valuable content. For example, the discussion in chapter 5 broadens the readers thinking of free will and determinism. Cosgrove explains that this dichotomized way of viewing this issue does not consider “the whole of behavior,” what Cosgrove calls “Top-down” thinking (p. 80). Cosgrove further shows that in the realm of sexuality and criminal behavior that outside influences (media, abuse, pressure, drug abuse), environment, genetics, and temptations all work into this issue that modern culture has deemed the result “deterministic and materialistic preferences” (p. 81). Perhaps the most significant chapters for recent discussion are chapters 6 and 8. In chapter 6 Cosgrove dispels the claim that religious thought and experience is a mere result of electric stimulation of the parietal lobes or temporal lobe alone (cf. epileptic’s seizure experience) (p. 96–97). He writes, “our brains seem built to easily have religious experiences and pursue questions of meaning and existence, which often ends up looking for spiritual truth” (p.100). Indeed, but how does all of this research bring to bear on the life of faith for the local church? In chapter 8, Cosgrove proffers it is in the realm of ethics; he writes, “Christians cannot abandon the field simply because suddenly it sounds like a frightening immoral failure” (p.142), but engage in these fields with moral and ethical fidelity. 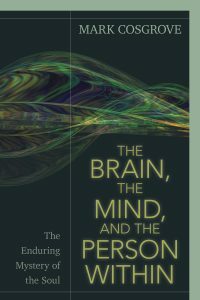 The truth of personhood, a holistic approach to the mind, is the key to understanding the issues of neuroscience and the dilemmas that await technological advancement (p.165). Both those in the fields neuroscience and theology must realize that assumptions and subjective experience matters. This work serves as a fantastic primer to the issues surrounding current discussions of neuroscience and how theology should intersect this field.